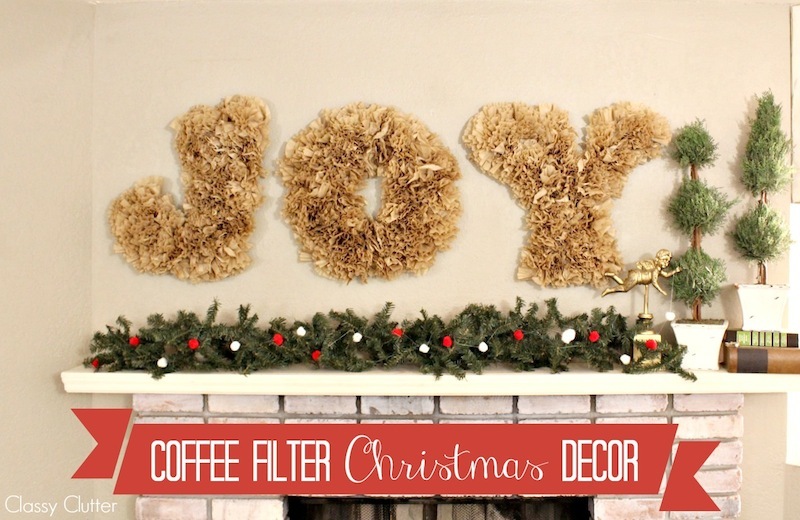 Today we are going to show you how to make your own Coffee Filter Christmas Decor. 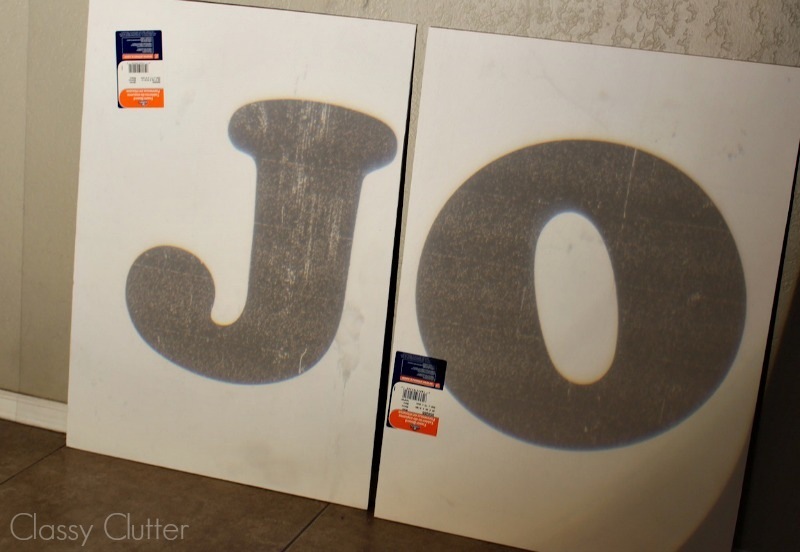 We made the word JOY but you can do any word or shape you’d like! Fun huh? 1. First, print out your letters on a transparency film. 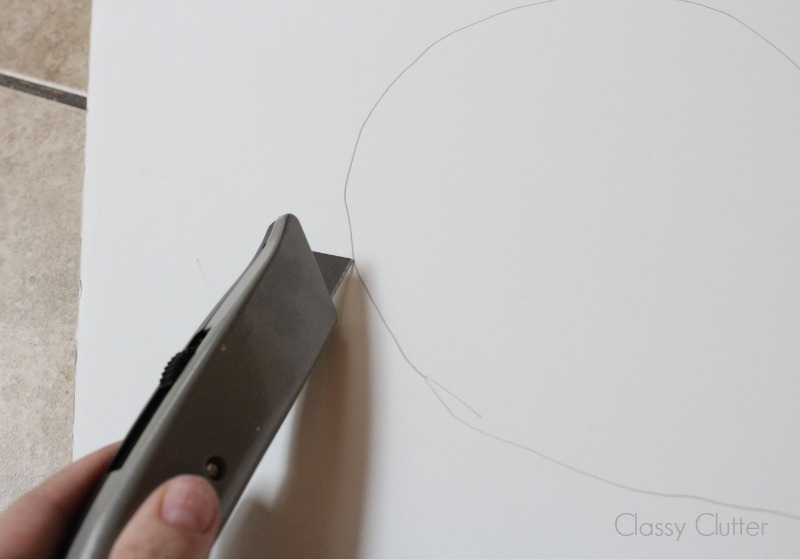 If you aren’t using a projector, skip to step 3! You can draw the letters free hand if you’d like. 2. Using an overhead projector, trace your letters onto poster board. Again, you can free hand it if you want. A simple font should be easy to draw. 3. 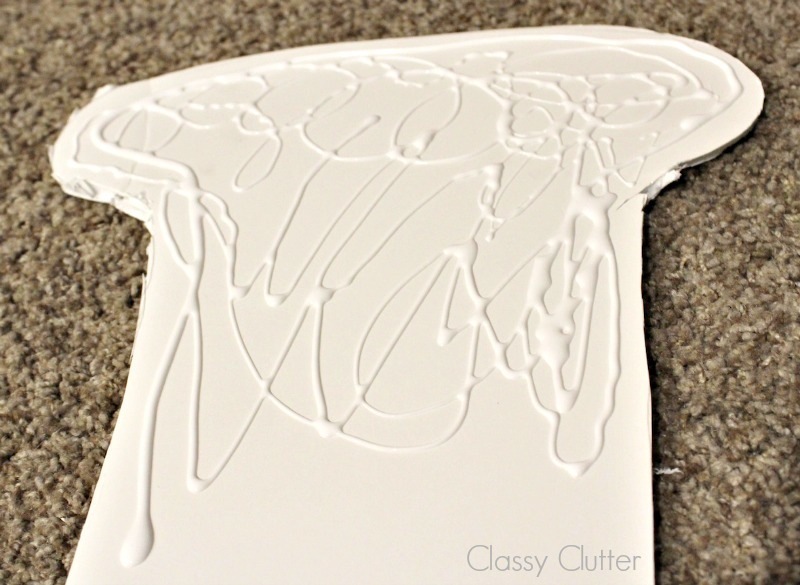 Using a box knife or sharp, sturdy scissors, carefully cut out your letters you traced on the poster board. 4. Now slather on some white school glue and get ready to add your coffee filters. 5. 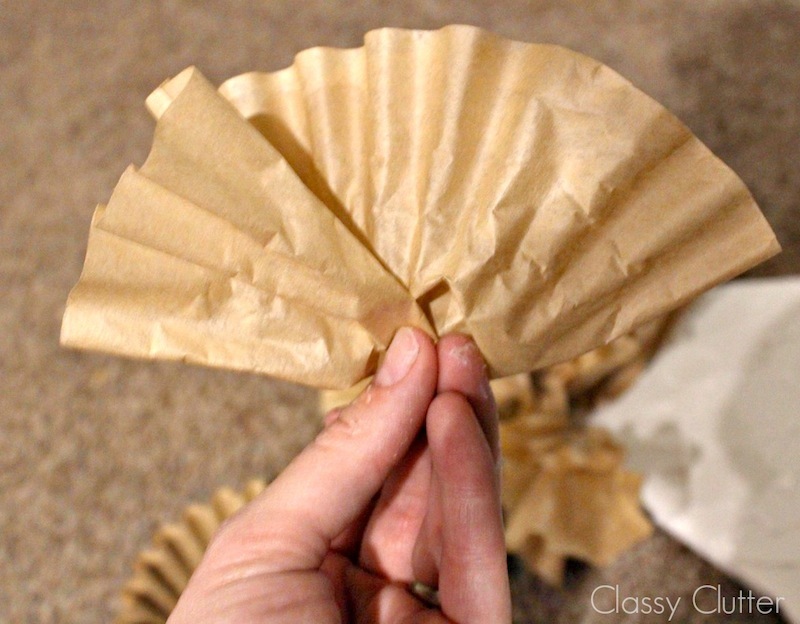 Gather the bottom of your coffee filter to create a little pouf. You can fiddle with it a bit until you like the shape. 6. 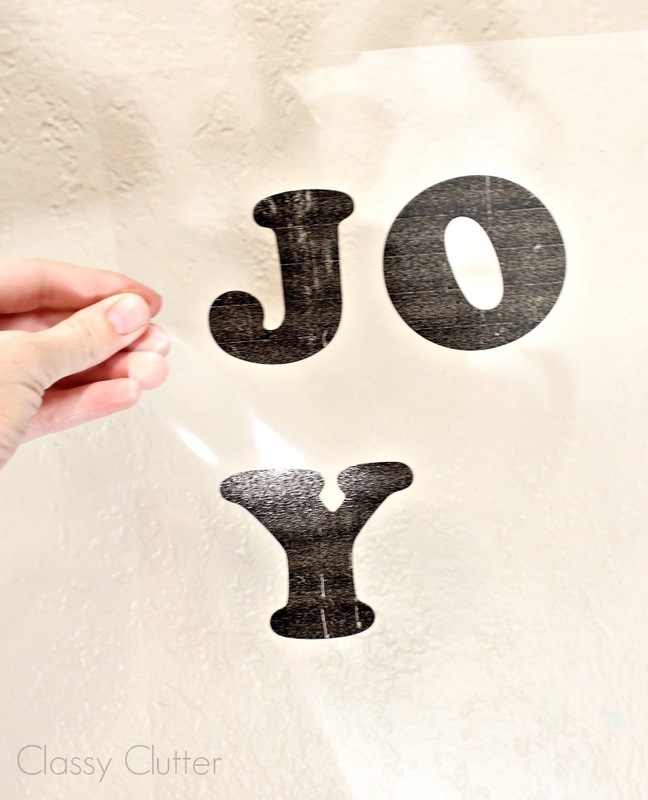 Apply the coffee filter to the glue and repeat a bunch of times until all of your letters or your shape is covered. This would make a super cute wreath too! You could jazz it up with ribbon, glitter, etc! 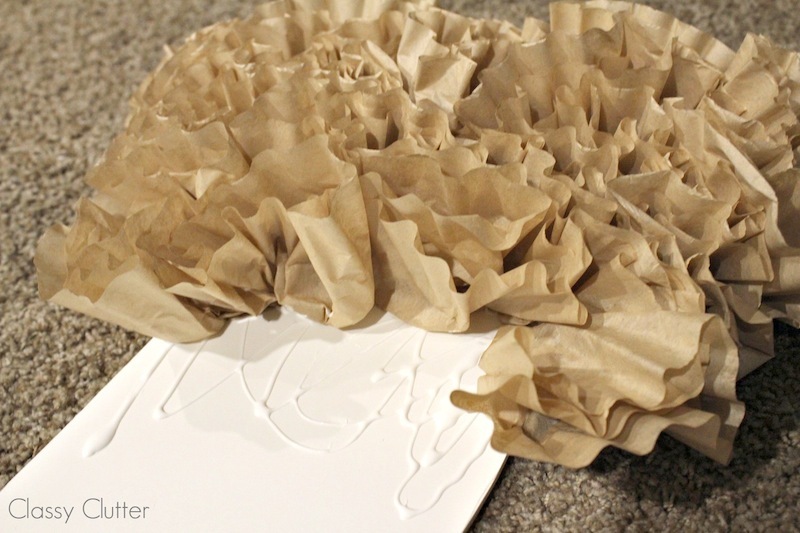 We love the rustic look of the brown coffee filters but you could use white if you wanted too! Aren’t they so fluffy, ruffly and fun!?! Cute idea! Looks great above the mantle!! 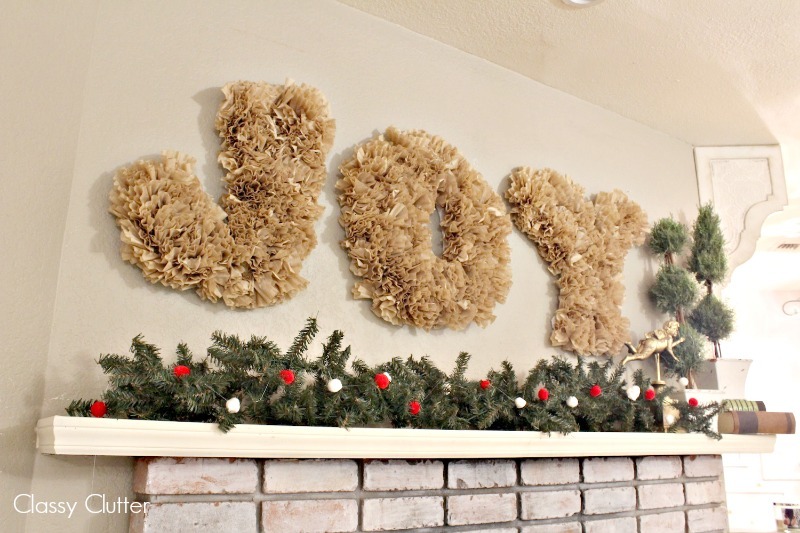 This is so cute, and right within my decorating budget! This is so fun – I love all the texture!! 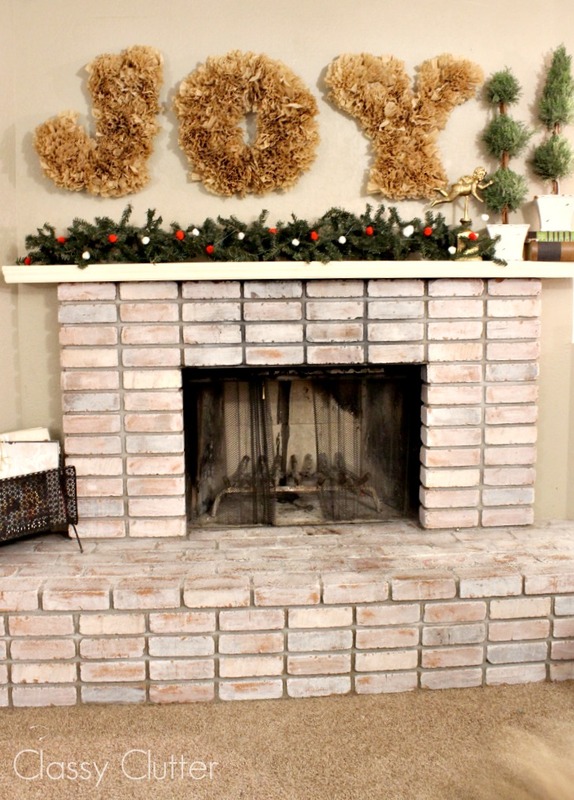 Great Ideas -- 25 Merry and Bright Home Decor Projects!